The shift to EMV in the U.S. will hit its full stride by 2020 or so, according to experts speaking Monday at the All Payments Expo in New Orleans. But payment terminals still represent a significant speed bump for the further spread of the anti-fraud chip technology. 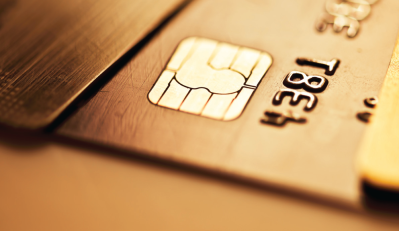 Some six months after the EMV liability shift last October, about 60 percent of credit cards in the U.S. have chips, according to Mercator Advisory Group senior analyst Alex Johnson, citing figures from the end of 2015. “But it’s a different story for debit and prepaid,” he said during the session entitled “EMV—Where Were the Bumps in the Road.” About 25 percent of debit cards have the chips, said Johnson, who did not give a stat for prepaid chip card penetration. Among the factors deemed bumps were the timing of the liability shift just as merchants were turning their full attention to holiday shoppers, and the lag in getting EMV-capable payment terminals certified and switched on. While Johnson estimated that about 50 percent of U.S. terminals can handle EMV transactions only about 20 percent of those capabilities have been “turned out.” What that means is that merchants haven’t gone through the lengthy process of testing the hardware—this is one area where the timing of the liability shift may have played a role—nor have acquirers rushed to certify that those terminals are EMV compliant, he suggested. A glimpse of the future came from Suresh Vaghjiani, executive vice president, card services, for Global Processing Services. He showed a ring on his finger that serves as a contactless EMV device that pays for rides on the London subway. Even so, European consumers, generally more used to contactless payments than U.S. shoppers, have yet to put their full trust in contactless EMV payments, he said, as they worry that criminals will steal the data as it travels through the air. Such payments, however, employ unique algorithms that expire after transactions, protecting the transaction, he said. Mercator’s Johnson said that by 2020, more than 85 percent of U.S. payments cards will have EMV chips, the vast majority of them credit and debit. “Prepaid will be a few years behind,” he said.